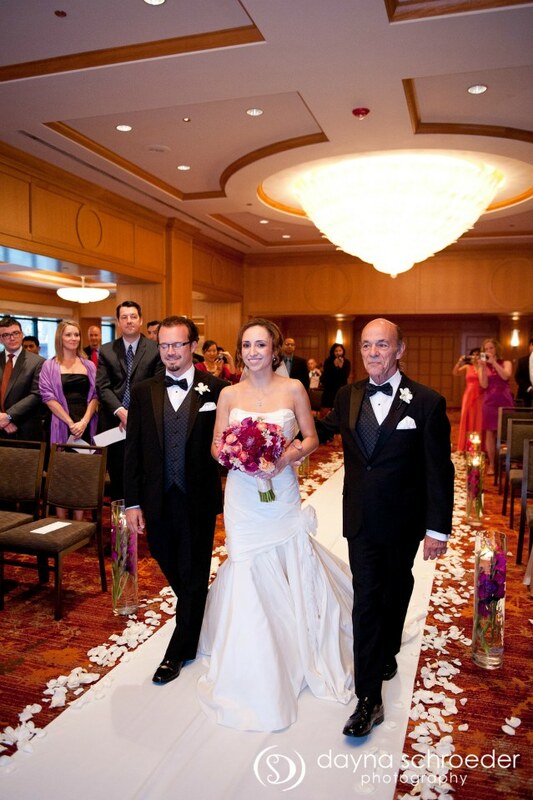 Hitched: Blanca & Sean’s Westin Chicago Wedding, Pt 2 — Sweetchic Events, Inc.
After their photo session at Union Station, it was time for the ceremony! Photos by Dayna Schroeder Photography. Grace from Vale of Enna did a spectacular job creating the aisle and faux alter. I typically don't see gladiolas used that often in wedding florals, but I'm really loving how they looked! And FYI, they are also a very economical flower. Vases of submerged gladiolas in shades of fuchsia, purple and orange, topped with a floating candles lined the long aisle. At the alter, lush arrangements of tall gladiolas, willow branches and hanging candles atop clear acrylic pillars flanked the Unity Candle table. A close up of the low and tall arrangements. 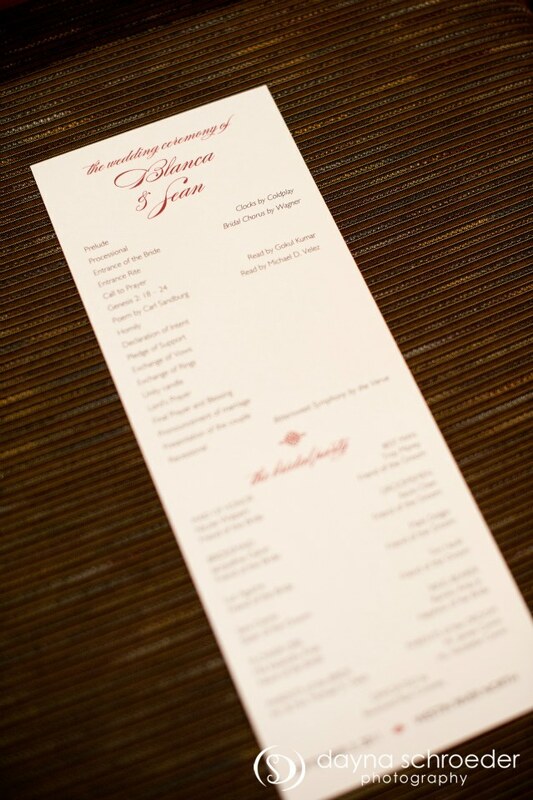 The simple tea-length wedding programs I created for the ceremony. Blanca looked radiant on the arms of her father and her brother. TIP: A 5-foot wide cloth aisle runner makes a huge difference in creating an elegant look, especially when the ceremony is in a brightly carpeted area. A nice shot of the Astor Ballroom with it's beautiful, unique chandeliers in the Westin River North. You can't see it from this photo, but along the right hand side there is a wide bank of windows overlooking the Chicago River!